The editor first met Lane Boudreaux at a John Curtis summer camp when Lane was a strong but rather round fourth-grader. Then time took over. In February of 2013 Rummel freshman Robert Fairchild, who has placed 4th in Division I twice as his senior year approaches, needed almost six minutes to score a technical fall over the then John Curtis sixth-grader (below left). 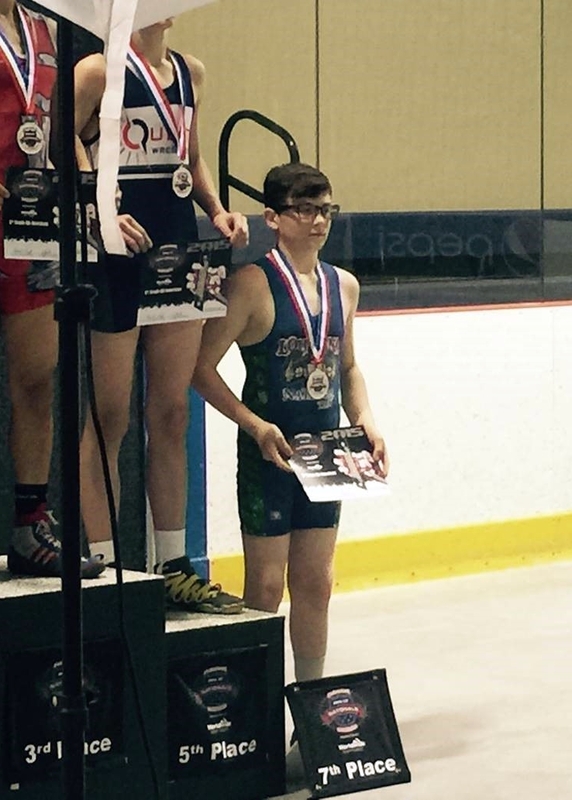 Now, after spending his 7th and 8th-grade years at Holy Cross, Boudreaux is an All-American, having placed 7th at the Brute Nationals in the 8th-grade 120 lbs. weight class (below right). Boudreaux will be competing this weekend at the Jazz Town Duals.